In general, a married couple has the option of filing a joint tax return even if the spouses don't live together. There's one exception, though. If you and your spouse are living under a "decree of separate maintenance" -- which is a court's legal recognition that you are separated -- then the Internal Revenue Service considers you unmarried. It's hardly unheard-of for a married couple to live apart from each other. One spouse may have had to move for a job, for school, for a military deployment or for some other reason. Couples who aren't getting along may be experimenting with a trial separation but are not interested in making that separation "official." As long as the couple is legally married and has not sought court recognition of their separation, they have the right to either file a joint tax return or file as "married filing separately." Under IRS rules, you cannot file a joint tax return -- or even file as married filing separately -- if a court has decreed that you are legally separated. The date that matters is Dec. 31 of the tax year. If you were living under a decree of separate maintenance on that day, then the IRS considers you unmarried for the whole year. If you're separated on that day but have not had the separation legally recognized, then the IRS considers you married for the whole year. If you're considered unmarried under IRS rules, you must file your taxes either as single or, if you are caring for children or certain other dependents, as head of household. Married filing statuses are not available to you as long as the decree of separate maintenance remains in effect. 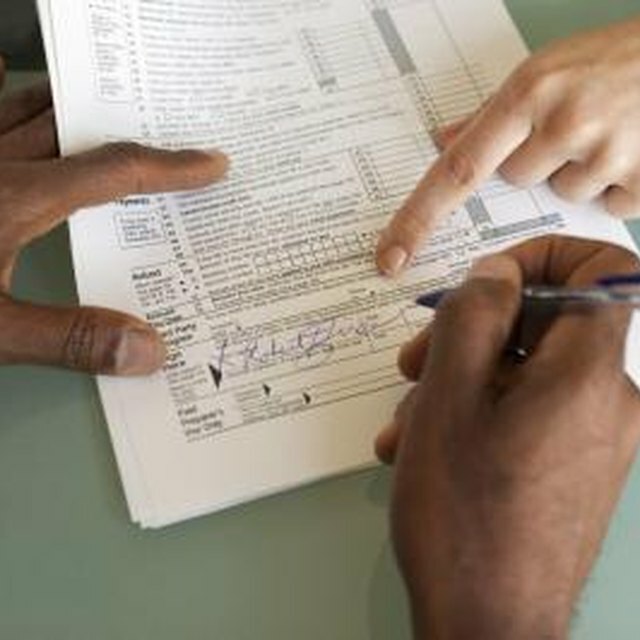 Can We File a Joint Tax Return If We Are Only Married Part of a Year? Note that a decree of separate maintenance is something that must be actively requested from a court. If you and your spouse are living apart and don't consider yourselves legally separated -- which is the functional equivalent of divorce -- then you have no reason to seek a decree, and none will be issued. You don't have to worry about a court, the IRS or anyone else deciding for you that you're legally separated.